By Peter Anderson 26 Comments - The content of this website often contains affiliate links and I may be compensated if you buy through those links (at no cost to you!). Learn more about how we make money. Last edited November 17, 2017 . My Lending Club account has continued to show good returns despite the fact that this month I had another loan go late. My net annualized return is still above 12% (which was my goal to reach a year or so ago), and thankfully the loans that have gone late have already repaid more than 3/4 of their loan principal, so I wouldn't be losing as much as some other loans if they do in fact default. 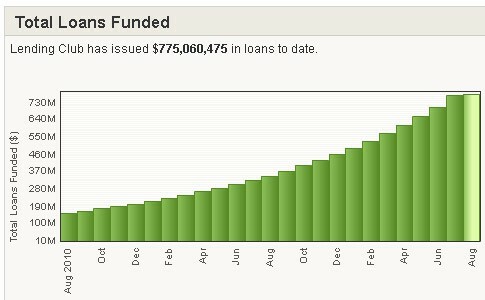 Lending Club has continued their growth and they have now issued $775,060,475 in loans to date. Others have mentioned that they think they will have originated in excess of 1 billion in loans by the end of the year. I think that might be possible. So just what are people using the loans from Lending Club for? Mainly for debt consolidation, as over 70% of people are reporting that they are using the loans to pay off debt or consolidate credit cards. I can get behind a goal of paying off debt or credit cards – as long as people are actually getting their situations under control. Over the past month or so since my last Lending Club report, where I surpassed 12% net annualized returns for the first time, I've seen my returns show a slight dip from 12.06% to 12.02%. The reason? I think it's because I've had another loan go late, and the two loans already late are still working out payment options. Hopefully they'll get back on track. Net Annualized Return of 12.02%: Down from 12.06% in June, but still up from 11.98% in May, 11.61% in early April, all the way back to 10.53% in July of last year. My returns remain above 12% as I add new higher risk loans to my portfolio. Number of defaults.. one, with 3 new late: I've got one charged off loan on my account. Over the past couple of months I've had two loans that have been a bit behind, a grade A loan, and the other a grade D loan. They're still late this month but have made arrangements for payments. Unfortunately there is one more new late loan this month, a grade B loan. Once again the few issues I've had have tended to be on higher graded loans. Go figure. Thirty two loans have been paid off early: Eleven were A grade loans, ten were grade B loans, seven were C grade, three grade E and one F. Looks like grade A and B loans are more likely to get paid back early, reducing returns. Another reason why I've started investing in more higher grade loans. My account balance increasing, re-investing returns: I currently have $2,851.14 in my account, with $80.15 of that ready to re-invest. I’m diversified by investing small amounts across multiple loans: I've had 185 loans since joining (148 issued and current loans, 32 paid off), with no more than $25 in each loan. In other words, I'm diversified across a decent amount of loans, lessening my risk from any one loan going into default or getting charged off. Of course to be fully diversified I believe Lending Club recommends 800 or more notes. I'm not there yet. NOTE: 83.17% of Lending Club investors with 100+ Notes earn returns between 6% and 18%. 100 Notes can be purchased with a minimum investment of $2,500. In looking at my returns on the analyzer, my actual return according to the site will be closer to 10.96%. It also gives me quite a few sell recommendations, particularly on some of my older lower interest loans that I did when first starting out. Those particular loans tend to be grade A or B, and have interest below 8%. 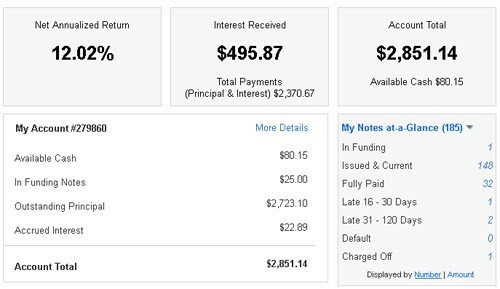 I might be missing some very obvious here, but how is it that your account has 185 loans but is worth $2851.14? Mine is actually larger than yours at $2,873.93, but I only have 127 loans. Did you take money out of the account at one time? Can’t say for sure, but I’m sure I may have taken out some over the years. Plus of the 185 loans, 148 are issued and current, 32 have been paid off, some of them early. Congrats on the performance. How long have you been doing investing in Lending Club? I believe it’s been about 2+ years now? I’d have to go back and check the blog post archive to be sure. Peter have you checked out the filters I use for Lending Club? I’m currently at 10.46% NAR and been doing it over three years now. Not as good as your performance :-) but slightly more seasoned. I have to generate a performance graph overtime next round. The last time I did it, the performance was pretty consistent. I would also add to your filter the exclusion of any loan in CA. According to lendstats.com, CA residents had a 0.5 percent higher likelihood of defaulting. At least 6 months ago when I checked that was the case. It’s not a lot, but something to consider. Noah, while I agree I do still pick people from that state (it’s a BIG state), I’m just more selective. I haven’t done this before, but it looks like I might need to check it out…thanks for sharing. Unfortunately it’s not available in all 50 states, so you’ll have to check the Lending Club website to see if you are eligible. Fortunately CA is in so I’ve been investing for a little over a year. I’m very satisfied so far. A rate of anywhere near 10% is phenomenal and could completely change the way loans are made in the next 10 years. Banks beware! Luckily for DC I know he’s in Minnesota like me, and it is available here. I had to shut down my prosper account for work purposes, but I think I am going to start up a Lending Club account in the near future. Returning a 12% income why limit how much you’d invest? Also, does that mean you have loans that are paying 15 and 18%?! Yeah there are some of those low grade loans that have higher interest in that range, along with some of the higher grade loans earning much less – 5-9%. The problem I have with PF blogger articles reporting lofty returns on P2P lending is that the size of your accounts represents chump change. I haven’t seen any PF blogger report having significant skin in the social lending game. Does this mean that you don’t really trust the concept? I’ve seen people have $10-20K invested, which seems sizeable to me. I do plan to drop in another $500 once my side income check roles in for last month though. I would like to be at $5K by the end of the year. Sorry you feel it’s chump change, however, I’m just reporting my own experience. I do trust the concept, and when I have more money to be able to put in the game, I will. 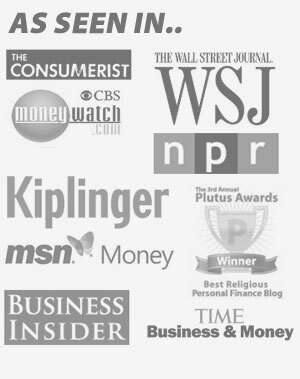 There are quite a few bloggers that have significant money in P2P lending, however. For one example see Peter over at sociallending.net. I know he’s got well over 100k in it if I’m not mistaken. 4. Only recently has Lending Club have enough notes to choose from to meet my strict filtering. Previously it would take me 1-2 months to invest $1k. I just added another $1k to my account last week and I have almost all of it invested already. Good job, Peter. You might remember that I recently started my Lending Club account. This morning, my NAR is 15.76. I have 200 loans going right now. I started the account as an IRA with 5k in order to avoid fees. I look to you and Peter Renton as mentors on this venture. So far things are going great. I realize that this NAR number is likely to decrease substantially, but it sure looks great for now! Thanks for sharing your LC experience. This could be a game changer! Was wondering if you use prosper as well and if your criteria differs or is about the same with finding loans on that site? I have never gotten into Prosper and haven’t really used their site yet – mainly because I’ve been putting spare money into my Lending Club acccount. I’m sure I will try Prosper at some point, but can’t give any real feedback on it yet. I’m somewhat late to the prosper game and just reviewed it on my site. I will be investing another $10k into their service as well in the next few years. Out of the two I still would pick Lending Club first. How many loans do you have total? Peter, a few months back I read your blog when you talked about your success with Lending Club. I started investing in June. My current NAR is 12.93%. I moved 5k from an IRA at a broker into an IRA account at LC and bought 200 loans. I have already had 2 loans that paid off early and I have one loan that is showing past due. The loan that is past due is a grade B loan. I have loans that I would have considered much more risky than this one that seems to be headed south. But, if you invest in this market, you have to expect that some loans will not be repaid. After a few months, I do plan to move more money from the brokerage account into the LC account. I want to own at least 1000 notes! I also read Peter Renton’s blog every Saturday. It is also good information specifically focused on the business of p2p lending. I realize that it is very early in the process and things will likely change in a negative direction as I would expect more notes to be written off as time goes by. But, thanks for sharing your experience. So far I am very well pleased with my p2p lending experience! Glad you’ve been pleased with your experience so far. I’m sure as soon as we’re able we’ll be putting quite a bit more money into Lending Club as well, more than the $2800 or so we have there now. I think it’s to be expected to have some early paid off loans as well as some defaults and charge offs, but thankfully I’ve mostly dodged the defaults so far. Previous Post: Does Your Budget Match Your Priorities?